Norwegian Level A1-2 continues where Level A1-1 finished off and covers chapters 6 to 10 in the curriculum book “På vei”. 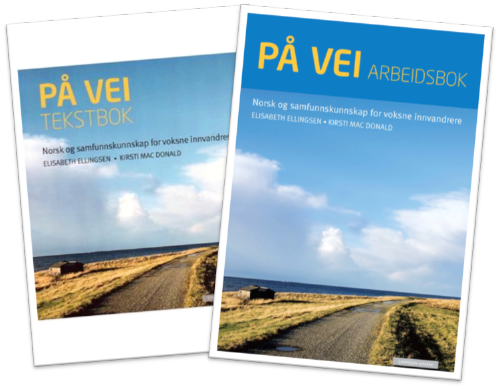 You need to buy the books “På vei: tekstbok” and “På vei: arbeidsbok” (2018 editions). You will find both books in Norwegian bookstores, online bookstores and libraries (the libraries often have waiting lists for the "På vei" books, so we advise you to apply there early). 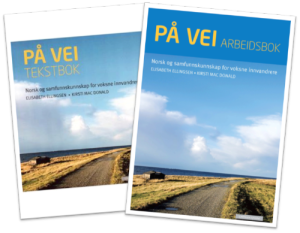 The "På vei" curriculum book is based on the official Læreplan i norsk og samfunnskunnskap for voksne innvandrere ("Teaching Plan in Norwegian and Societal Knowledge for Adult Immigrants"). This ensures that what you learn adheres to official requirements. It also means that you will be learning useful and interesting things about Norway while you learn Norwegian.